I guess things have been skewing pretty masculine around here lately, what with all the wood sunglasses and superhero clothing. So, how about this little gem from Boston designer Ana-Katarina Vinkler-Petrovic, the inspiring talent behind AnaKatarina Design? 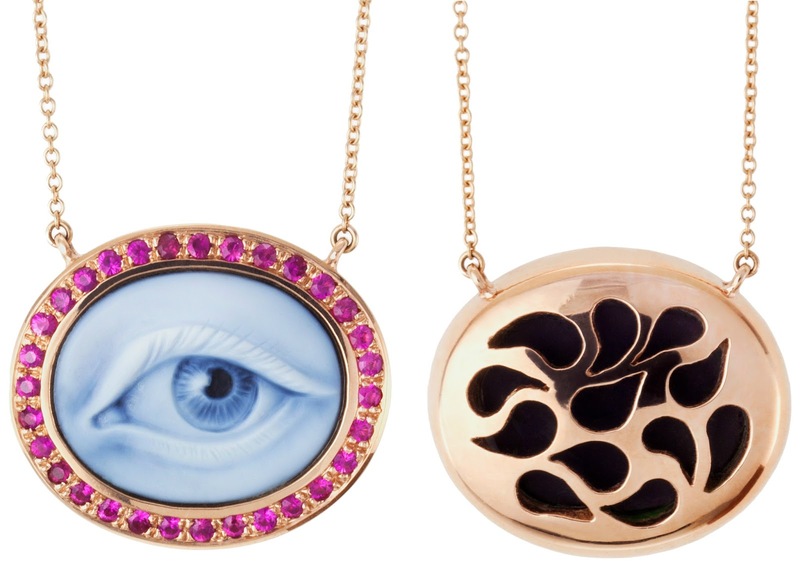 As the first piece in the designer's "Eye of the Beholder" collection, this pendant features a Brazilian agate cameo set in 18k recycled rose gold and surrounded by fair-trade Vietnamese pink rubies. True to form, no detail has been left unturned, from the careful handcrafting of the cameo by a fourth-generation German master carver to a tiny diamond finishing off the clasp. The version seen here is available through the designer and L.A. showroom Roseark for $6,600, but the custom options are even dreamier. Besides choosing from various gems and precious metals, clients can commission personalized cameos as well. The latest commission? A pair of custom cameos of a client's eyes to be made into cufflinks for her husband. Does it get any more romantic?